Designed by Sascha Sartory, SEGMENTO is a multifunctional coffee tablewith a hidden storage space under the tabletop that can be lifted. 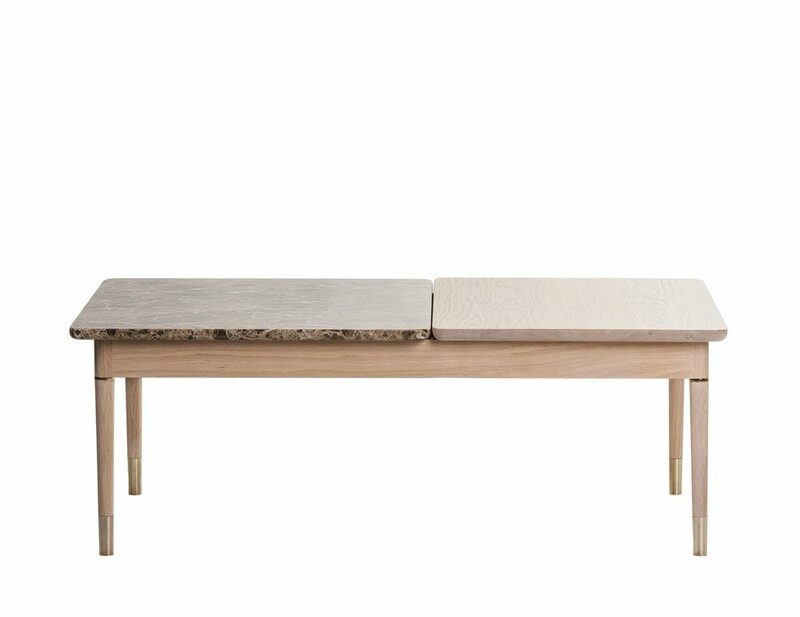 SEGMENTO is built in solid wood and the tabletop is divided in marble and wood with brass details in legs. The tray is deep enough to hold things like remote controls or magazines, but shallow enough to preserve the minimalist lines.